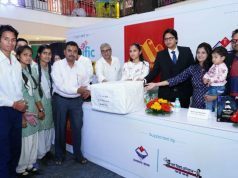 As you all know few days back the Northern Indian states-Uttarakhand and Himachal Pradesh, and their adjoining areas have experienced heavy rainfall that triggered devastating floods and landslides. As of 21 June 2013, more than 1,000 people have died with many more missing. Damage to bridges and roads left over 70,000 pilgrims and tourists trapped in various places,of whom, many were rescued. As of 23 June 2013, about 22,000 people are said to be still stranded. 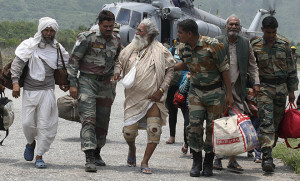 As of 22 June 2013, the death toll in Uttarakhand was reported to be 1,000 with several more missing and more than 70,000 tourists and pilgrims stranded. By 23 June 2013, some sources claimed that the death toll could even rise to 5,000. The official death toll in Uttarakhand by 25 June 2013 was 822. The upper Himalayan territories of Himachal Pradesh and Uttarakhand are full of forests and snow-covered mountains and thus remain relatively inaccessible. They are home to several major and historic Hindu pilgrimage sites and at least one such Sikh pilgrimage site besides several tourist spots and trekking venues. 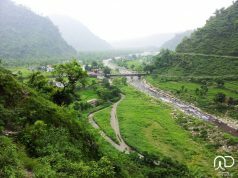 From 14 to 17 June 2013 Uttarakhand received heavy rainfall, which was about 375 percent more than the benchmark rainfall during a normal monsoon. This caused heavy floods in Uttarakhand, Himachal Pradesh and Western Nepal, and acute rainfall in other nearby regions of Delhi, Haryana, Uttar Pradesh and some parts of Tibet. In the city of Dehra Dun, capital of Uttarakhand, this was the wettest June day for over five decades. Heavy rainfall for four consecutive days as well as melting snow aggravated the floods. 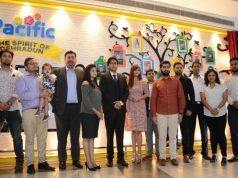 Warnings by the India Meteorological Department predicting heavy rains were not given wide publicity beforehand, causing thousands of people to be caught unaware, resulting in huge loss of life and property. Due to the floods, damaged several houses and structures, killing those who were trapped. The heavy rains resulted in large flash floods and massive landslides. Entire villages and settlements such as Kedarnath. Over 70,000 people were stuck in various regions because of damaged or blocked roads. 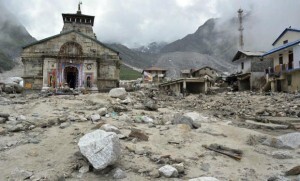 Although the Kedarnath Temple itself had not been damaged, its base was inundated with water, mud and boulders from the landslide, damaging its perimeter. Many hotels around the temple were destroyed, resulting in several casualties. Most of the destruction at Kedarnath was caused by a sudden rapid melting of ice and snow on the Kedarnath Mountain, 6 km (3.7 mi) from the temple, which flooded the Charbari lake (upstream) and then Kedarnath. Within the temple, a panic-driven stampede resulted in several deaths.More than 500 people are currently missing from Kedarnath.The Uttarakhand Government announced that due to the extensive damage to the infrastructure, the temple will be temporarily closed to regular pilgrims and tourists for a year; but the temple and its rituals will still be maintained by priests.The Kedarnath Yatra would also not be held for the next 2 years. As of 26 June 2013, the official death toll in Uttarakhand, based on the collected bodies of the victims, had crossed 20,000. Rescuers at the Hindu pilgrimage town of Haridwar on the river Ganga have been reported to have recovered bodies of 40 victims washed down by the flooded rivers as of June 25 2013. The Army, Air Force, Navy, Indo-Tibetan Border Police, Border Security Force, National Disaster Response Force, Public Works Department and local administrations worked together for quick rescue operations. Several thousand soldiers were deployed for the rescue missions. Activists of political and social organizations are also involved in the rescue and management of relief centers. Helicopters were used to rescue people, but due to the rough terrain, heavy fog and rainfall, maneuvering them was a challenge. Ministers from all over the country are chipping in with aid, money is flooding the Uttarakhand Disaster Management and Mitigation Centre. 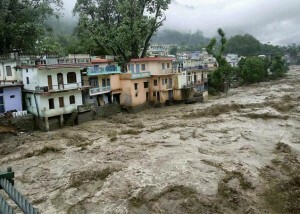 All this has happened this past week after massive rains and floods ravaged the Himalayan State. On June 25, an IAF resue chopper crashed. Eight of those on-board were fatally injured.